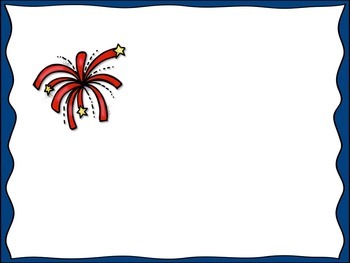 Do you need a Patriotic-themed review activity? If so, this interactive PowerPoint game template is for you! 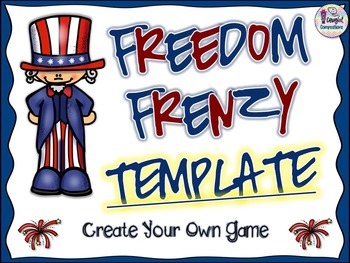 Simply insert your own image on each slide with a single patriotic symbol, save your new game, and you are ready to play! The patriotic symbols on the individual pages are already linked to the main page of patriotic symbols. You could insert site words, vocabulary, math facts, musical patterns, etc. The sky is the limit! Plus, you can use it multiple times to create several different review games! Your class can play in teams or you can use it as an individual assessment. 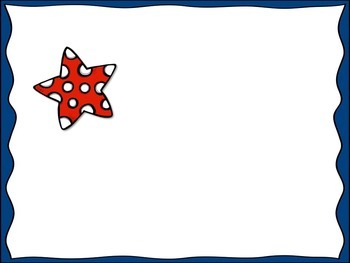 In full screen viewing mode, click on a patriotic symbol OR throw a Koosh® ball at the patriotic symbol if you have an interactive board. The image you inserted will appear for the student. After the student completes the item, click the patriotic symbol on the page with the image to return to the full page of patriotic symbols. This game contains 15 patriotic symbol slides. Please rate our product and follow Cowgirl Compositions for product updates and freebies!